Having a new baby is a wonderful experience but can also be a bit of a minefield with worry. I speak to many parents of new-born’s and a reoccurring concern is sleep, and how much or how little their baby sleeps. But not to worry as I have a few easy to implement tips on how to support your baby’s sleep. The first thing, which I know is so easy for me to say, is to not worry! Your baby will develop its own routine (if you aren’t following a set routine) and sleep will come as they get older. New born babies don’t make the sleepy hormone until they are around 4 months old. This is a survival instinct that is hardwired within them. Babies and to an extent toddlers function on instinct and survival. The ancient part of the brain that controls all the basic tasks to survive. Sleep, hunger, thirst, bowel and urinary movements, and if you are safe or not. The fight/flight and rest/digest nervous systems are also a part of this. They don’t have reasoning or logic yet and won’t until they are 6 or 7. (It’s why you can never win a battle with a toddler using logic!). The reason that babies, generally speaking, because there are always exceptions, sleep more during the day than the night is survival. We are the only mammal born completely helpless and unable to run away. This is also to protect the human species as no woman would survive giving birth to a toddler! Due to this, babies sleep more in the day because it’s safe; they have no idea that they are in 2018. They still think that we are in the cave surrounded by predators, so sleeping at night could be a dangerous thing to do. That’s also why they have the ‘startle reflex’ to begin with and don’t like being put down. When they are not being held they are vulnerable, which is why a happy and contently held baby will begin to cry when they are put down. And don’t worry, you can’t ‘spoil’ a child by carrying them too much. In fact, research shows that the more they are held as a baby the less ‘clingy’ they are when older, and deal with social occasions better. So if your baby doesn’t sleep well at night, don’t panic! They are just doing what they should be doing. They won’t suffer for not sleeping through the night from week one, which is basically impossible for them to do anyway. They get the sleep they need during the day. And every baby is different. Some start sleeping for really long periods much earlier than others so try not to compare yourself to baby books. They work on the average and there is no average person or baby. Every one of us is unique, so our sleep will be as well. Also when they are tiny, their stomachs are also tiny, so they need to feed frequently. Another reason your baby may feed more at night, is that it’s safer to be fed at night in terms of primeval instinct. Generally speaking, you as the mother are stationary when you feed, which could be dangerous as you are vulnerable. So feeding more at night makes perfect sense in terms of safety. Also try not to compare your baby to your friend’s. Yes, one of them might have a baby that sleeps more than yours, but their baby might be really colicky whilst yours doesn’t have tummy problems. In order to help your baby sleep as much as possible, especially in those early days, I have listed my 10 top tips to encourage sleep. As your baby picks up everything through you the calmer you are about their sleeping, the calmer your baby is. Learn baby massage (with me or someone else). It’s amazing and helps with all sorts of things that might be impacting on why your baby isn’t sleeping so well. If you are breast feeding really try and limit your caffeine and refined sugar (sorry! ), especially after 2 pm. I know this can seem really mean, but the less caffeine and sugar in your body, the less there will be in your breast milk and therefore in your baby’s system, so sleep will be easier. (Contact to book in for a nutrition consultation and learn ways to replace bars of chocolate as easy sources of energy). Once again, if you are breast feeding, try to increase these foods as they are the ‘sleepy foods’ containing tryptophan which is helps the body make melatonin and serotonin which make you sleep. Vitamin B6 foods including: meat, beans and legumes like lentils and pinto beans, eggs, avocado, nuts and seeds. Vitamin C foods including: oranges, lemons, sweet peppers, kale and broccoli, and Vitamin E foods including: wheat germ oil, seeds, nuts and tomatoes. Limit your babies screen time as much as possible. Babies shouldn’t really have any as the blue light impacts on the day/night messages. Really try not to have them in front or screens, or able to see them from 4pm. Buy organic lavender (Lavandula angustifolia) essential oil. This is the brand I recommend – https://www.oshadhi.co.uk/highland-lavender-organic-lavandula-angustifolia. Put a drop of the essential oil on a tissue under the mattress in their cot/Moses basket, under the sleepyhead etc when you put them down for the night. Or you can put a few drops in a diffuser in the room they sleep in around 15 minutes before bed time. Try and bathe them before bed regularly. Having a bath throws them back to feeling like they are in the womb when they were safe. This is also why we love baths as an adult. It also helps turn on the ‘rest and digest’ nervous system which is what we need for sleep. It can also really help them if you have a bath with them. If you are breastfeeding drink a sleepy tea in the afternoon/afternoon so they benefit from it. Pukka do wonderful organic teas. Carrying them around in a sling during the day helps with many things including their digestive system – so if their tummy keeps them awake, using a sling is really useful. It also means that they are carried more which helps keep them calm during the day, and they don’t have the ‘fight or flight’ nervous system switched on as much which can keep them awake. If your baby finds sleep difficult because they are really fractious, especially by evening, try and have a calm afternoon as much as possible. If you go to sensory baby groups, do that in the morning and go to calming, sing-a-long ones in the afternoon. This will hopefully mean they are less ‘over sensitised’ and will find falling asleep easier. Do a bedtime routine as your baby will learn it more quickly than you can imagine and will know that as the routine starts to take place, sleep time is on the horizon. If you have any questions, queries or concerns, please don’t hesitate to get in touch. I am always happy to have a quick phone call for free to see if I think you need to book in with me, or another type of therapist to help support you and your baby. I can work remotely for nutrition advice, breast feeding tips, and help with things like eczema. 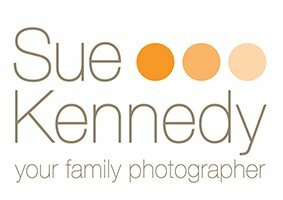 Katie’s article was originally published in the Me & My Baby magazine, which was curated by Sue Kennedy a professional portrait photographer based in Harlow, Essex who specialises in baby and child portraiture. You can get your own free copy of the magazine here. If you enjoyed reading this blog ‘10 tips to help calm your baby and help them to sleep’ please consider sharing it with your friends. Hiya! Did you get your gift yet? I’ve created a fabulous + free baby magazine for you. It contains some great tips & tricks to help with calming baby, interior design ideas and why backpacks make the perfect changing bag. Enjoy! Almost finished! I'll send you an email with the link to the online magazine shortly. 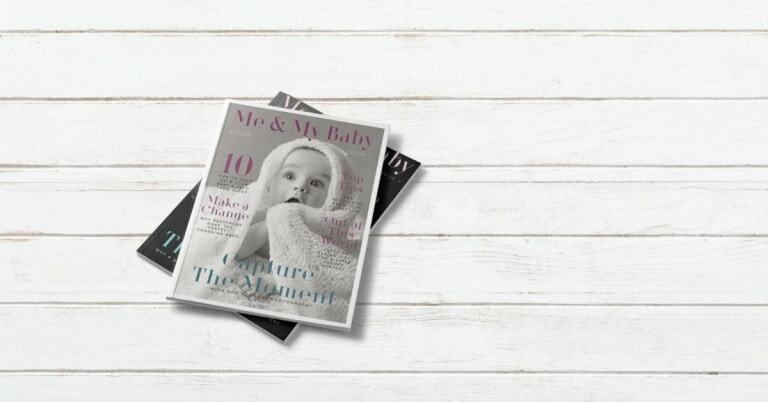 I've created a fabulous + free baby magazine for you. It contains some great tips & tricks to help with calming baby, interior design ideas and why backpacks make the perfect changing bag. Enjoy!